from West Nile Virus: 0. Opioid deaths in Chesco and PA are rising dramatically while WNV deaths have averaged under 2 a year in the entire state, according to CDC (one so far in 2018). Could the Health Department use its mosquito control funding more beneficially to reduce actual causes of death in the County? Could the Chesco Department of Drug and Alcohol Services, which deals with opioid issues, put to good use the public resources that the Health Department is using to track and spray for mosquitoes? The latest drug scourge, the herbal supplement kratom, has killed two Chesco residents this year, in April and June. Searching the County web site turns up only a 8/20/18 press release from the Coroner’s Office (which provoked attention in the media) and a couple of presentations for professionals. Is the County allocating taxpayers’ resources in the optimal way to support human health, safety, and well-being? Not to mention warning Chester County residents about the dangers of pesticides and herbicides…. Don’t Spray Me! wishes to work factually and democratically to convey our negative view of pesticide spraying. We believe that the different levels of government should in turn work openly with citizens and taxpayers. 1) Reaching out to the County’s 73 municipalities to help them educate their residents about mosquito control, and to suggest the many precautions that residents should take in the regrettable case of airborne pesticide actually being disseminated in their community. West Chester Borough and its citizens have dialogued exhaustively with the County Health Department and have taken on some of the needed education and outreach roles. We do not know that that has happened anywhere else in the County, except to some degree in East Bradford. 2) Larviciding (or helping municipalities to larvicide) pools of water and storm drains as needed to prevent the development of larvae from mosquito eggs there. This is the primary non-toxic mosquito control strategy. DSM has had to file a Right To Know request with the PA Dept of Health asking when and where the County has conducted larviciding in West Chester Borough. The Health Department has said it either does not have records (2015-17) or does not have time (2018) to find out and has encouraged us to ask the State. Furthermore, the County informs us of the general location of traps when it wishes to share high Vector Index readings or wishes to spray but not as a matter of course. Thus of the 31 mosquito traps set in the Borough, we have a general idea of where just 7* are. Therefore, we have no way to understand what role the readings from the other 26 traps played in the recent plan to spray much of the Borough — which Borough Council unanimously opposed (and which has not occurred). According to the PA West Nile site, spraying has been conducted this year in 27 of the state’s 67 counties (as of Aug. 14; the chart is outdated). So are those 27 the only counties with supposedly high levels of risk for West Nile virus? Not at all! 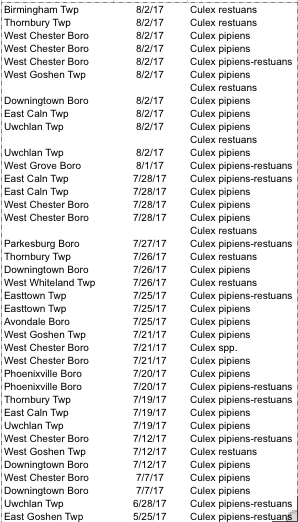 According to “Recent West Nile Hot Zones in Pennsylvania in 2018” (also as of 8/14), 29 counties are described as: “There is no active county surveillance program in this county. DEP biologists do perform minimal surveillance in this county.” Of those 29 counties, 10 are said to be at “high risk” for WNV but they have not been sprayed. If WNV is such a crisis that in Chester County environmental and human health must be risked to broadcast pesticides in our communities, why do those 29 counties and especially the 10 “high risk” counties escape the same level of “treatment”? The County justifies spraying on the basis of Vector Index scores. Although the math behind those numbers appears impenetrable to our statistician, the Vector Index level at which the County sprays municipalities varies widely, and some municipalities that have not been sprayed have higher Vector Indexes (per the information available online) than others that have been sprayed. How can there be such a discrepancy if the Vector Index is a reliable scientific tool? And is it reasonable to think that WNV stops at municipal boundaries? Almost all of the County’s 24 untested municipalities are adjacent to municipalities with testing. For example, Parkesburg Borough (1.2 square miles) was sprayed on Aug. 9, but (as of 7/30/18) none of the 3 much larger adjacent municipalities was even being tested. Mosquitoes do know how to fly, and so do crows, the chief reservoir of the virus. But since almost no humans ever are aware of contracting the virus, what’s the big fuss anyhow? If you wish to check the Vector Index for Chesco municipalities, see here. However, good luck in finding the levels for this month, as the posting stops as of 7/30/18. Since the County uses a 3-week window to justify spraying, that means that the public and elected officials have no online information to show any data that might underlie any recent spraying on the municipal level, nor any information either on the location of actual traps. Citizens and their elected representative are being denied the information and data they need to form educated opinions in this important matter of environmental and human health (and the hundreds of thousands of taxpayer dollars being spent). N.b. So 24 to go! Even if we knew precise trap locations, we wouldn’t publish them, because the Health Department fears interference with their traps and we don’t want to be blamed if there is any. And we do believe in valid data, when we can get it. Please note that where mosquitoes are trapped is not necessarily where they breed or spend most of their time. And we don’t want them to. Stay tuned. We keep having to point out that the phrase “to prevent West Nile Virus” in the press release title makes no sense. The West Nile virus is carried in birds, especially crows, and then is picked up by mosquitoes that bite the birds, and those same mosquitoes can then bite people. But the transmission chain to humans must be really weak, because this whole year PA has had only one possible identified human case, not definitely verified and not critical. 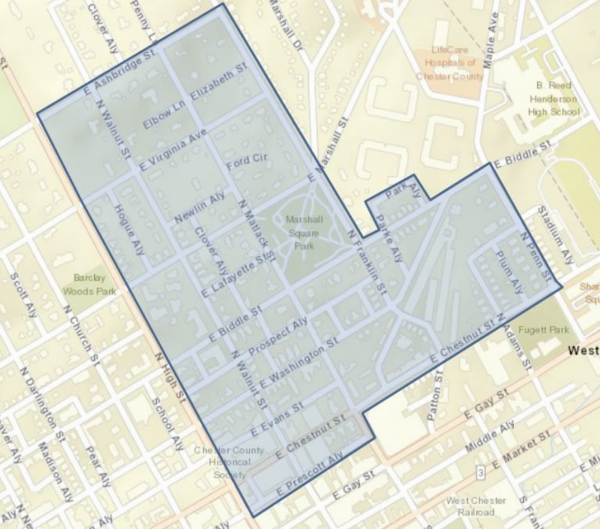 About this particular spray plan: Note from the maps below that the proposed spray area would include almost all of the S. half of the Borough and most of the NE (including Marshall Square Park, where the Borough fended off spraying 3 years ago). The County Health Department’s press release says: “People who are concerned about exposure to mosquito control products can reduce their potential for exposure by staying indoors with children and pets when their neighborhood is being sprayed.” That is a very low-level warning. Of course, everyone ought to be concerned about any pesticide being directly sprayed on them or infiltrating their dwellings. But how does that advice play out in an urban area like downtown West Chester? What will people here be doing on a Thursday eve, other than sitting at home with their children and pets? Although spraying is not scheduled right on Market and Gay Streets, it would pass really close to them, and of course spray drifts. Are people enjoying their outside drink or dinner in the center of town going to have methoprene drifting onto them and their food and into their lungs? Is West Chester going to earn the reputation of a place to avoid patronizing? If just one hypersensitive person dining outside or inadvertently walking through the spray area has a serious adverse reaction, or one small asthmatic child in tow has to be rushed to the ER, that is going to be big liability. For whom? For the County, which does the spraying? (Let’s be clear: the County decides when to spray, not the State.) The restaurant owner who could be said to have the duty to close down outdoors for the evening? The Business Improvement District, unless it acts to get downtown closed off? The Borough, if it does not make the decision to close the parking garages and post warning signs? This is a real morass. It’s not like spraying a rural area where houses are 500 feet apart with long driveways. How about West Chester University? The whole campus north of Rosedate is in the spray area. Are all the students going to be told to stay in their rooms from 8 p.m. till the next day? How about those coming back from an off-campus job or the Library? The Health Department really has not thought this through. If they wanted to make a more reasonable case, they would be proposing to spray only in the immediate vicinity of what are apparently the 3 trap sites with high readings: College Ave at the pumping station, Green Field, and Magnolia St. The Health Department releases its info selectively to make its own pro-spraying case. Where are the other 28 traps in the Borough? What are their readings? Why do they want to spray the NE but not the NW? It’s full of mysteries, and that’s the way they seem to want it. But we don’t. 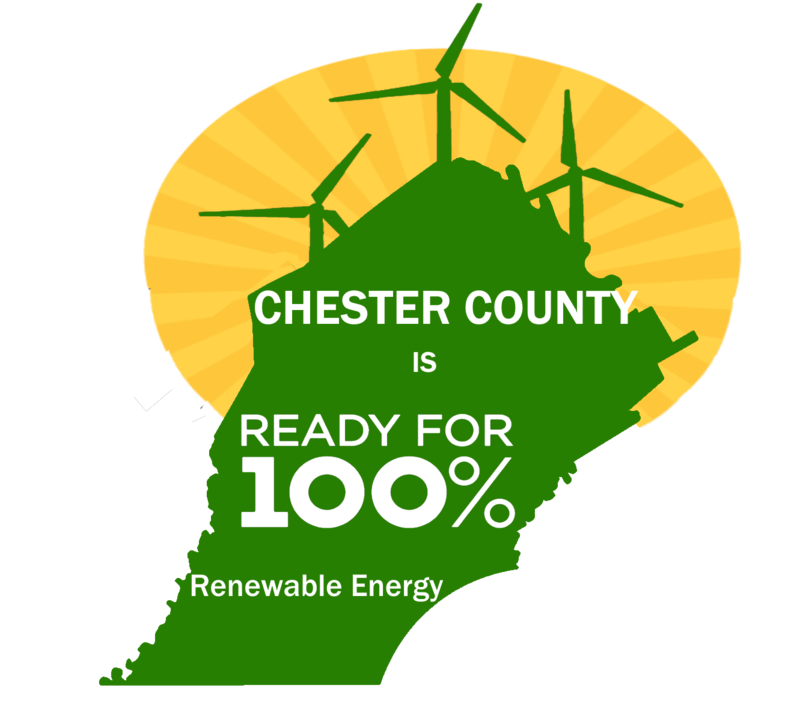 “Trust us” doesn’t work any more, and especially now that Chester County has become all too familiar with the PA DEP, which is the state resource on both pipelines and mosquitoes. When Don’t Spray Me! filed a Right To Know request, the Health Department said it did not know where it larvicided in 2015-17; and they also say they don’t have time to tell us where they larvicided this year. They say they spray only “after exhausting all other available mosquito control strategies” and they don’t even know where they have larvicided, which is the most effective anti-mosquito treatment in known breeding sites like storm drains and stagnant bodies of water? If the HD can’t do better to explain its actions and consider the effects on a complex urban population, it needs to be stopped until there is greater accountability in the interest of the public and the environment. “Spraying to control mosquitoes is still standard practice in many localities,” Herrin said, “but that doesn’t mean it works. The insecticide kills only adult mosquitoes, not larvae, and research suggests mosquito populations can bounce back quickly and even increase after an application. …there are no confirmed cases of West Nile Virus in people, statewide. Dr. John Goldman, infectious disease specialist with UPMC-Pinnacle, said finding a positive case in a person can be hard to find. “Most people who’ve had [West Nile Virus] aren’t aware of it. Once you’ve had it, you’re immune. You can’t get it again,” said Dr. Goldman. He believes most people have become immune to West Nile Virus, slowing the spread of the illness. In 2003, Pennsylvania had 236 people test positive for West Nile Virus. But since then, the most confirmed cases was 60 in 2012…. To date this year in Chester County: 401 samples tested, 37 positives (meaning one or more mosquitoes in a test batch carried WNV virus; we do not know the size of each sample, so it could be one mosquito in 10 or 100+). No human, equine or avian cases known in Chesco so far this year. Citizen measures for mosquito control become more urgent! As often happens in mid-summer, mosquito traps set by the County are starting to show some West Nile virus positives. This means that at certain trap sites, over a 24-hour period, one or more mosquitoes out of the scores or hundreds trapped were carrying the virus. No humans are known to have been affected so far in Chester County, but this means we citizens should redouble our efforts to curb the mosquito population and fend off spraying, whose harmful effects are known and whose benefits, if any, are unproven beyond the initial destruction of adult insects of all species. Also, there have been positives in a couple of other sites around the County. To do your part, please refer to “What can I do to reduce the mosquito population?” and the concrete advice on the Borough site’s Mosquito Awareness page about suppressing standing water. In West Chester, Block Captains should by now have distributed both 1) a letter from Mayor Jordan Norley and 2) a doorhanger from the Borough. If you live outside West Chester Borough, please contact us and we will put you in touch with others in your community. What is a Vector Index? The Vector Index (VI) is an estimate of the abundance of infected mosquitoes in an area and incorporates information describing the vector species that are present in the area, relative abundance of those species, and the WNV infection rate in each species into a single index (Gujaral et al. 2007, Bolling et al. 2009, Jones et al. 2011). The VI is calculated by multiplying the average number of mosquitoes collected per trap night by the proportion infected with WNV, and is expressed as the average number of infected mosquitoes collected per trap night in the area during the sampling period. In areas where more than one WNV vector mosquito species is present, a VI is calculated for each of the important vector species and the individual VIs are summed to represent a combined estimate of the infected vector abundance. By summing the VI for the key vector species, the combined VI accommodates the fact that WNV transmission may involve one or more vectors in an area. Increases in VI reflect increases in risk of human disease (Bolling et al. 2009, Jones et al. 2011, Kwan et al. 2012, Colborn et al. 2013 in press) and have demonstrated significantly better predictive ability than estimates of vector abundance or infection rate alone, clearly demonstrating the value of combining information for vector abundance and WNV infection rates to generate a more meaningful risk index (Bolling et al. 2009). As with other surveillance indicators, the accuracy of the Vector Index is dependent upon the number of trap nights used to estimate abundance and the number of specimens tested for virus to estimate infection rate. Instructions for calculating the Vector Index in a system with multiple vector species present are in Appendix 2. For the actual VI formula and a detailed example, see pp. 64-66 of the above Guidelines. I am concerned about the recent decision to spray in an area of Chester County for West Nile carrying mosquitoes, considering what is currently known about permethrin, the availability of less toxic alternatives and methods for mosquito control, and the demonstrated resistance of mosquito populations to this pesticide. Even if there are some West Nile positive mosquitoes in the vicinity, has a risk analysis been done to see that the perceived benefits of spraying outweigh the long term risk to human health? While permethrin was studied at length in 1994 by the US Army and found to be relatively safe, this early study should be taken in context: more American soldiers have died from insect-borne illness than of enemy fire. For troops deploying to tropical areas, and who have already willingly put their lives on the line for our country, permethrin is the lesser of two evils. Since the 1994 study, there has been a great deal of research into the toxicity of permethrin, and the picture grows more and more grim with the passing years. Work that supports the use of permethrin, such as the EPA’s cumulative risk assessment (2011), is very thorough at the surface, but consider limited endpoints: specifically, those derived from the a priori known ways in which pyrethrins and pyrethroids disrupt neural function. As complete as the EPA study seems to be, its flaw is in its failure to consider other endpoints besides neural function. A recent review article identified 29 studies in which permethrin-induced toxicity was identified in various species (and cited a number of other studies where human toxicity was shown). It also goes into far more detail than the Army study about the mechanisms of toxicity in the various bodily systems. Although it was believed that PER showed low mammalian toxicity, an increasing number of studies have shown that PER can also cause a variety of toxicities in animals and humans, such as neurotoxicity (Carloni et al., 2012, 2013; Falcioni et al., 2010; Gabbianelli et al., 2009b; Nasuti et al., 2014, 2008, 2007b), immunotoxicity (Gabbianelli et al., 2009a; Jin et al., 2010; Olgun and Misra, 2006), cardiotoxicity (Vadhana et al., 2010, 2011a, 2011b, 2013), hepatotoxicity (Gabbianelli et al., 2004, 2013), reproductive (Issam et al., 2011), genotoxic (Turkez and Aydin, 2012, 2013; Turkez and Togar, 2011; Turkez et al., 2012), and haematotoxic (Nasuti et al., 2003) effects, digestive system toxicity (Mahmoud et al., 2012; Sellami et al., 2014b, 2015), anti-androgenic activity (Christen et al., 2014; Xu et al., 2008), fetotoxicity (Erkmen, 2015), and cytotoxicity (Hu et al., 2010) in vertebrates and invertebrates. Early life environmental exposure to PER could play a critical role in the onset of age-related diseases (Carloni et al., 2012, 2013; Fedeli et al., 2013; Gabbianelli et al., 2013; Vadhana et al., 2011b). Previous findings demonstrate that early life pesticide exposure to low doses of the PER insecticide has long-term consequences leading to toxic effects such as cardiac hypotrophy, increased Ca2 ©≠ level and increased Nrf2 gene expression…. In fact, there is evidence that effects of this nature are transgenerational and that there are epigenetic changes that ensue due to exposure. What’s clear is that the pesticide research community has NOT signed off on the harmlessness of such pesticides to humans despite the EPA guidelines or material safety data sheets. In addition its toxicity, it’s also fairly clear that mosquitoes evolve resistance to permethrin and other pesticides relatively rapidly. From Ramkumar et al (2015), after exposure to permethrin, within 10 generations, the 50% lethal dose concentration (LC50) of permethrin increased 17-fold. Ramkumar, G., & Shivakumar, M. S. (2015). Laboratory development of permethrin resistance and cross-resistance pattern of Culex quinquefasciatus to other insecticides. Parasitology Research, 114(7), 2553–2560. Research on West Nile carrying mosquitoes indicates that when field collected mosquitos were tested for pesticide resistance, in one case there was a 299-fold increase in dosage to reach the LC50. Kasai, S., Shono, T., Komagata, O., Tsuda, Y., Kobayashi, M., Motoki, M., … Tomita, T. (2007). Insecticide resistance in potential vector mosquitoes for West Nile virus in Japan. Journal of Medical Entomology, 44(5), 822–829. An alternative to using such pesticides is a larvicide, BT, which has been studied extensively. This appears to be safe at the moment (except for mega-doses, or deviant genetic strains), and is a champ at killing mosquito larvae. Ibrahim, M. A., Griko, N., Junker, M., & Bulla, L. A. (2010). Bacillus thuringiensis. Bioengineered Bugs, 1(1), 31–50. So the question is: if permethrin has already been shown to be dangerous to animals and humans AND it’s been shown to have diminishing effects on mosquitoes, and there are alternative measures that work, why is there such a strong push to spray? One must remember that where spraying of this nature is used by the WHO, it is used as the lesser of two evils in regions where the risk of mosquito-borne illness and subsequent death or disability is high enough to justify its use. Are there enough cases of West Nile in our area that spraying is justified? Has there been enough sampling of mosquito populations? What is the correlation between the ratio of mosquitoes with West Nile and the number of diagnosed cases? Are larvicide or other control measures being optimally used? As a scientist who teaches the physical sciences and who does health-related research, I’m struggling to understand how the data can possibly support a decision to spray. 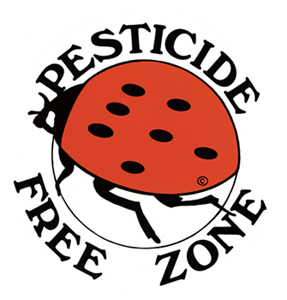 US Environmental Protection Agency; Office of Pesticide Programs. (2011). “Pyrethrins/Pyrethroid Cumulative Risk Assessment.” Retrieved from US Environmental Protection Agency. Xu Wang et al., “Permethrin-induced oxidative stress and toxicity and metabolism. A review,” Environmental Research, Volume 149, August 2016, Pages 86-104. 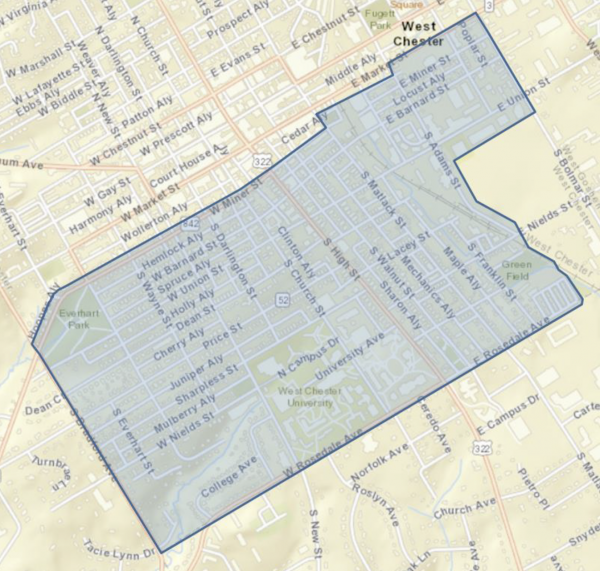 West Chester, PA – The Chester County Health Department is informing residents that a mosquito sample collected in Tredyffrin Township on July 7, 2016 has tested positive for West Nile virus (WNV). This is the first mosquito sample that has tested positive in Chester County in 2016. The Chester County Health Department sets mosquito traps to collect and test adult mosquitoes for WNV as part of routine surveillance. Traps are placed in highly populated areas, known mosquito breeding areas, and in areas where a resident has previously been identified as having a confirmed case of WNV infection. Traps are also placed in response to complaints from residents regarding high levels of mosquito activity. The Chester County Health Department will continue to monitor these areas as well as surrounding areas and will consider mosquito control activities when appropriate. The chances of contracting WNV from an infected mosquito are small and chances of becoming seriously ill are even smaller. However, the Chester County Health Department encourages county residents to “Make you and your home a bite-free zone”, reducing the risk of West Nile virus and other mosquito-borne diseases. Because mosquito-borne diseases are spread through the bite of an infected mosquito, residents can reduce their risk by using insect repellent and other personal protection and getting rid of standing water on their property.